Convertibles are endlessly appealing to both car lovers and those who are ordinarily indifferent toward vehicles alike. Why? Because there is something intriguing and adventurous about the convertible; it has come to symbolize freedom, youth and fun. In some ways, there is nothing more American than driving with the top down in a high-performance sports car. Of course, many of the most notorious sports car manufacturers are based out of Europe - specifically Italy. Yet in many ways, the all-American muscle car has never been topped, and when it comes to finding the quintessential muscle car, the Ford Mustang convertible always outshines the competition. For decades, car enthusiasts have turned to the Mustang convertible for a fast, luxurious American ride - and the Mustang's dominance shows no signs of letting up. Mustangs are superior to other convertibles within their price range for three main reasons: Undeniable power, great mileage and sheer driver enjoyment. Muscle cars are known for being powerful, high performance rides, and the Mustang really proves the rule. Equipped with a 5.4L V8 engine, the Mustang manages to drive both faster and harder than the competition while weighing considerably less to boot! etting rid of all that excess weight means that the Mustang convertible handles exceptionally well, lending the car a grace and agility that most American convertible sports cars lack. While practicality and fuel efficiency may not be the first quality that leaps to mind when you think of a powerful car like the Mustang, in reality the Mustang gets surprisingly great gas mileage: 14 miles per gallon in the city and 20 mpg on the highway. EPA estimated yearly fuel costs fall just above $3,000, making Mustang convertibles an excellent option for the cash-conscious muscle car fan. Finally, when it comes to the sheer joy of driving a convertible muscle car, it's difficult - if not impossible - to compete with the Mustang. Since 1964, the Mustang brand has been synonymous with the best that American car makers have to offer auto enthusiasts, and in the ensuing decades, not much has changed. When you choose a Mustang convertible, you are truly living the legend. Why take a chance on a lesser make or a less prestigious model when you can get behind the wheel of a true American legend? 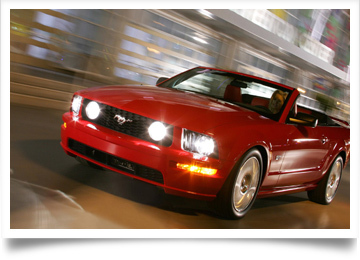 As long as convertibles are popular, the Mustang will continue to dominate the U.S. sports car field. The great thing about a mustang convertible top, especially a canvas one, is that it really gives the car that classic mustang look. For many car enthusiasts, owning a convertible is the ultimate dream - one that they may not expect to come true, due to the fact that most people view convertibles as high-end luxury vehicles, with hefty price tags to match. This is a misconception, however; in reality, there are many different kinds of convertibles available, and a wide range of prices. If you've always wanted to drive down the highway with the wind in your hair but you assumed that your bank account wouldn't let you, it's time to take a look at the affordable convertible options on the market today! One of the most popular inexpensive convertibles is the PT Cruiser convertible from Chrysler. This car takes its design cues from a '30s-era model, and is sure to be a collector's item for years to come. The Volkswagen New Beetle Cabriolet is another commonly seen convertible that won't break the bank. It combines the quirky charm of the classic VW "Bug"with an updated convertible silhouette, and offers great fuel efficiency and high-end performance and handling to boot. 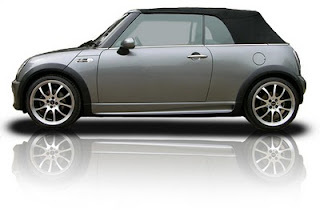 Along the same lines, you can purchase a MINI Cooper convertible and indulge your European car chase fantasies - hopefully without engaging in an actual car chase! The MINI Cooper S series now comes complete with an automatic transmission for those who don't know how to drive a stick. The Mazda Miata is another reliable choice that combines the looks and performance of a classic British sports car with 21st century Japanese technology. It's a classic in the "affordable convertible" category for a reason, but act quickly - the price has been steadily creeping upward for several years now. For a more classic option, try a Ford Mustang convertible. This is a 4-seat convertible made from standard sedan parts, which explains the relative lack of sticker shock that accompanies the Mustang. And lest you think that "prestige" convertibles are completely off-limits to the budget-savvy driver, consider the BMW Z4, which gives you all the luxury and status of a standard BMW, but at a much more reasonable price. Clearly, convertibles don't have to cost an arm and a leg, as long as you're willing to do a little research and comparison shopping before you hit the dealership. The good thing is that there are affordable convertibles, like the Volkswagen Beetle, and that when the time comes, you'll be able to find the right replacement VW convertible top. 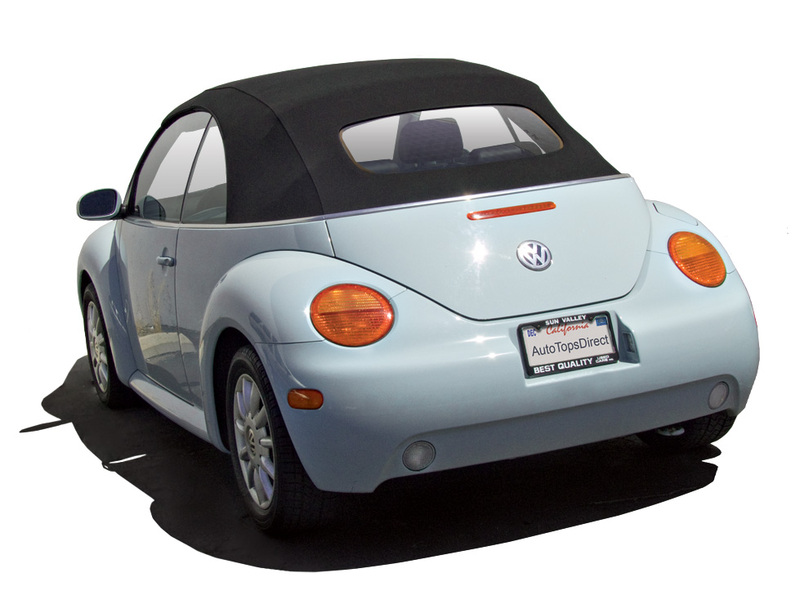 Although your new convertible top fabric does not promote mildew growth, mildew can develop on dirt and other substances if they are not removed, particularly in warm weather climates. A maintenance program of regular cleaning is recommended. 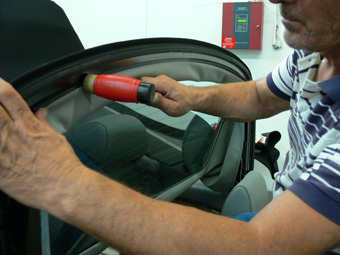 Automatic or hand washes will not harm your convertible top, however, DO NOT USE DETERGENT on canvas fabrics. Most convertible top manufacturers and the supplier of the convertible top fabrics recommend using RAGGTOPP™ Cleaner and RAGGTOPP™ Protectant. 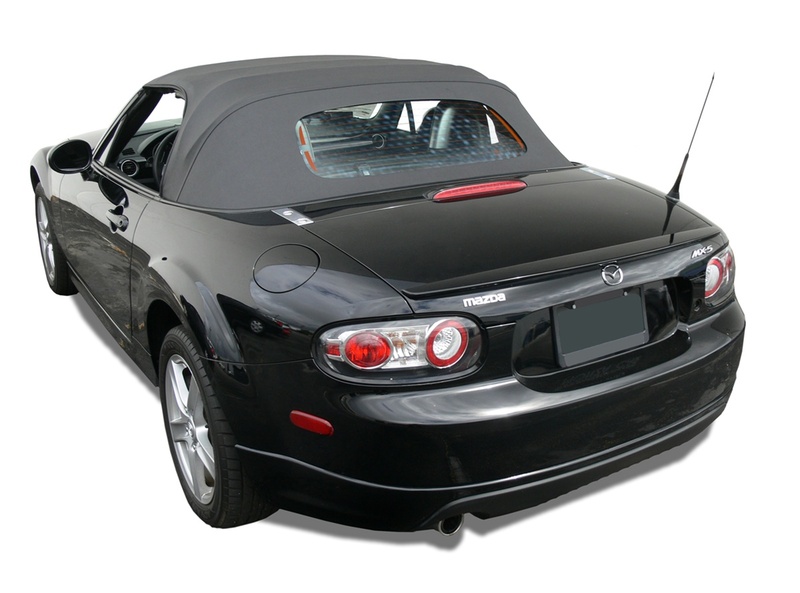 RAGGTOPP™ Protectant was specially developed for the true convertible top professional and enthusiast to protect and maintain their fabric, vinyl soft tops and plastic windows from harmful elements. The number one factor in deteriorating convertible tops is acid rain, along with U.V. rays, smog, tree sap, bird droppings, salt, tar , dirt, grease, and grit. All these elements contribute to the weakening and failure of convertible tops. 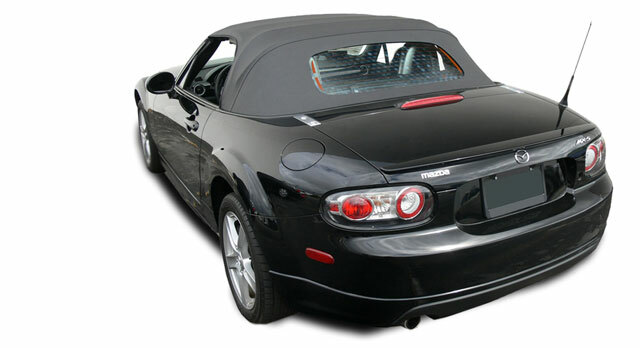 RAGGTOPP™ Protectant is the future of convertible top protection. Over three years of product testing has produced a polymer formula that creates a superior protective barrier that micro-bonds to the convertible top and protects it from the elements of nature and man. To do the job right, use a natural horse hair convertible top brush such as the RAGGTOPP™ Natural Horse Hair Convertible Top Brush for Cloth & Vinyl Convertible Top Cleaning. If you recently purchased a new convertible top for your car, you may be wondering whether you should just install it yourself or take it to a professional instead. Regardless of whether or not you were upgrading your standard top or replacing a worn out one, the end result of the installation will probably matter to you. That being said, you should recognize that there will be manual labor required, and if one step is overlooked, the entire job can be botched. While you may think installing a convertible top will be a piece of cake, you may be forgetting the first step: removing the old convertible top. This will require complete knowledge of the installation process, because if a mistake is made, the car may be damaged in the process. Chances are a professional, in the event of such an accident, would reimburse you or repair the damage caused by a botched removal; however, when on your own, there will be no one responsible but yourself. Lets start out in a best case scenario: You used to own a convertible car, and managed to replace the top by yourself, giving you the confidence to do the same for your new car. But the truth is that different cars will require a different installation process, so an experience with one car may not actually be of much help. Needless to say, a professional convertible top installer will have experience with all installation methods, and will be able to easily install a new top on any make or model. Just like you wouldn't give your ride a new paint job by yourself, you may not want to install your own convertible top. These are both aspects of your car that can remarkably affect their overall appearance. It may not be worth taking the chance that you won't be able to flawlessly install the replacement convertible top. Additionally, you may make a mistake that cannot be corrected if you eventually opt for a professional to finish the job. It seems that it is fairly simple when it comes to deciding whether or not to install a new convertible top yourself: If you have the experience and confidence that you can install the top just as well as a professional, then it will be worth saving a buck or two. Likewise, if you now feel that installing the top yourself is a risk you may not be willing to take, you can now feel confident that your money will be well spent. Regardless of what choice you make, if correctly installed, a convertible top will add to the visual appeal of your car and increase your overall driving experience. 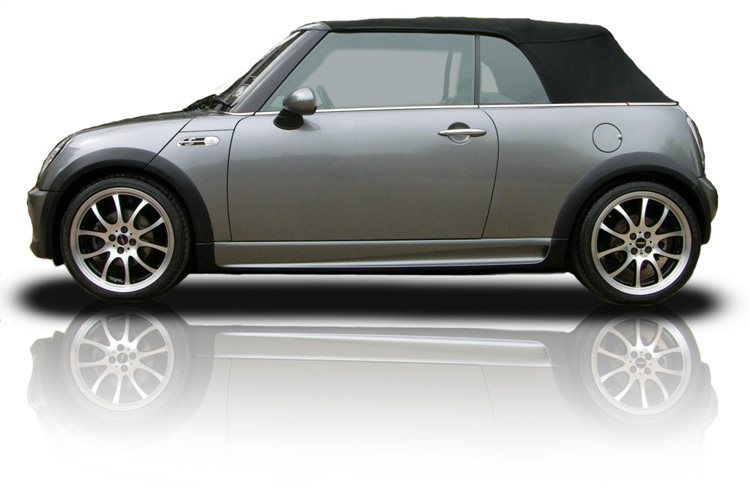 After purchasing a convertible top, make sure you hire a professional installer if you are not right for the job. Owning a convertible is, for many car lovers, the culmination of a lifelong dream. For these auto enthusiasts, virtually nothing can compete with the feeling of speeding down the freeway with the convertible top down, enjoying the weather, the freedom and the superior handling of a high-performance luxury car. While many different car manufacturers offer their own unique take on the iconic convertible, if you’re looking for the classiest convertible cars on the market, you should consider turning to a German auto maker. Specifically, BMW, Audi and Mercedes produce some of the most outstanding convertibles that money can buy when it comes to both looks and sheer automotive power. The BMW name is practically synonymous with quality, and has been for almost 100 years, since the brand was founded in 1916. When it comes to BMW convertibles, motorists can choose between the 1 Series and the 3 Series. While the 1 Series features the smallest cars made by BMW, the 3 Series offers compact executive cars. For even more luxury, consider the Z4, which has been the company’s signature 2-seat roadster since 2002. Another notable company with roots that stretch back to early twentieth century Germany, Audi also offers the best in convertible driving when it comes to power, speed and amenities. There are many different options for those interested in purchasing an Audi convertible, including the Audi A3, A5, TT and R8 road car, as well as the TTS and S5 S Models, and three different RS Models: The Audi TT RS, the RS4 and the RS5. Finally, no discussion of classy cars would be complete without a nod to Mercedes-Benz, the oldest automaker still in existence today. The Mercedes E-Class convertible is available in several different makes, such as the W124 (no longer in production) and the W212. What do these cars have to offer the convertible lover that other manufacturers lack? In addition to name brand prestige, all three have stood the test of time when it comes to creating a totally immersing driving experience. 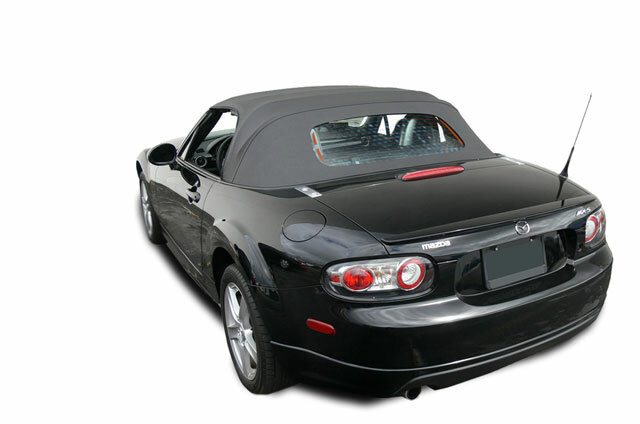 Convertible tops may be more durable and easier to clean, and the speed and handling are simply unparalleled. If you can afford to own one of the classiest cars imaginable, you would do well to consider purchasing a BMW, Audi or Mercedes convertible.